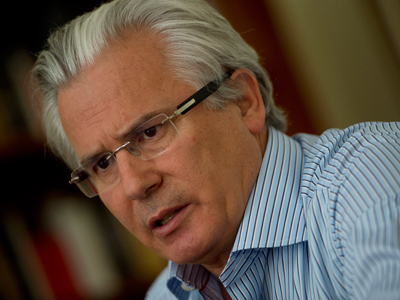 The prominent Spanish jurist Baltasar Garzon who leads the legal team defending WikiLeaks and its founder, Julian Assange has criticized the ambiguity of the American judicial system that might be preparing to bring charges against his client. "The United States should make it known what it is doing so that Mr Assange can stand up for his rights,” the legal advisor told journalists on Wednesday. Wikileaks and its founder Julian Assange came under close scrutiny from American authorities after the whistleblower website published hundreds of thousands of top secret documents from the US Department of Defense, and secret cables from the State Department. The publication was seen as a blow below the belt for Washington. A Virginia Grand Jury in the US is currently studying evidence surrounding the disclosure which might lead charges being brought against Julian Assange. The investigation is being conducted in secret, which is the rule for the US grand juries, and could continue for months or even years. The names of witnesses questioned by the grand jury are kept secret too. Wikileaks’ international legal coordinator sharply criticized the atmosphere of uncertainty created by the investigation shrouded in secrecy. "A democratic country can't operate with its back to a person who is suspected of very serious crimes that could deprive him of his liberty for a long time," slammed Baltasar Garzon. He also shared fears that the US and Sweden have struck a secret deal to deliver Wikileaks’ founder to the US, once Assange is extradited from the UK to Sweden for questioning over a case of sexual misconduct. The fact that Julian Assange’s defense has no idea about what’s going on in the American jury has become a real problem, Garzon said. "We are very worried about what is happening," he stated. 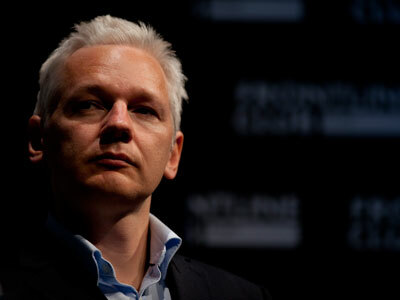 Julian Assange remains in the Embassy of Ecuador in London, having applied for political asylum. If he steps out of the building – he will be immediately arrested and extradited to Sweden. 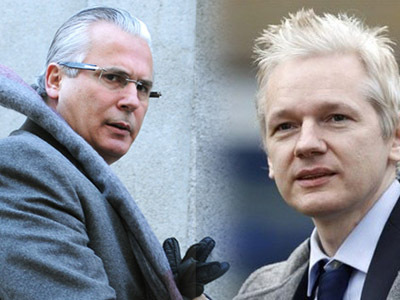 Baltasar Garzon, who first met Julian Assange in London on July 19, said his client does not believe in the fairness of the Swedish courts. "In the present circumstances the conditions for a fair trial [in Sweden] do not exist,” said the lawyer. 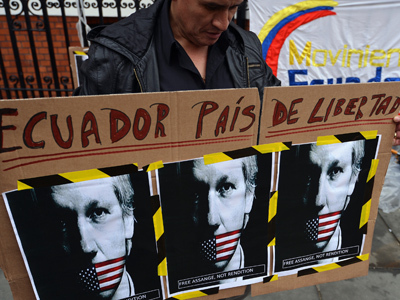 Garzon revealed that granting of the Ecuadorian asylum for Assange depends on certain guarantees Ecuador has demanded from Sweden. He said the guarantees have not been granted and refused further comment on the issue. Spanish human rights lawyer Baltasar Garzon became widely known in 1998 for indicting former Chilean dictator Augusto Pinochet.